You gotta hand it to Sony for the effort they're putting into Freedom Wars. 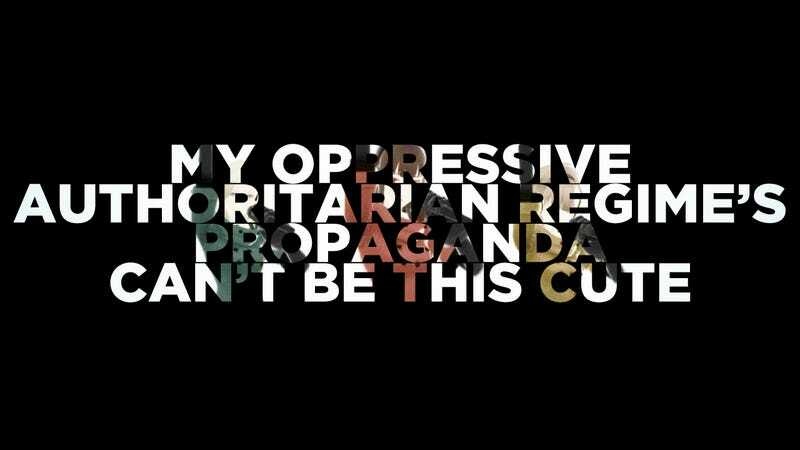 They recently released a promotional music video featuring Panna, Opti, and Cony, "Propaganda Idols" used to gain the sentiments of the Panopticons' citizens. They're a kind of Accessories, which are the AI companions of players. Think Hatsune Miku but for in-game political propaganda (though I don't think they used Vocaloids for that PV. If they did that's some real good Vocaloid usage). Let's all hope that they play randomly in the background on hubs then feel guilty for being subservient to a Government that asks you to serve a million year prison sentence. These efforts are also quite reassuring. At the very least, Freedom Wars should be pretty well-received and help the Vita get a boost in Japan. This marketing effort doesn't really translate that well to Western audiences but at least we know they're trying, right? Feel free to spend a million years over at TAYClassic.